The artist himself explains, in a text which accompanies the images, the reasons why he decided to choose this particular building to represent an idea of beauty. Because it is “ an archetypal element of a historical culture of the physical space” to be noted for its pure forms, for the way it perfectly fits in its environment, while also giving a first hint of how the knowledge of the environment is no longer a given certainty. 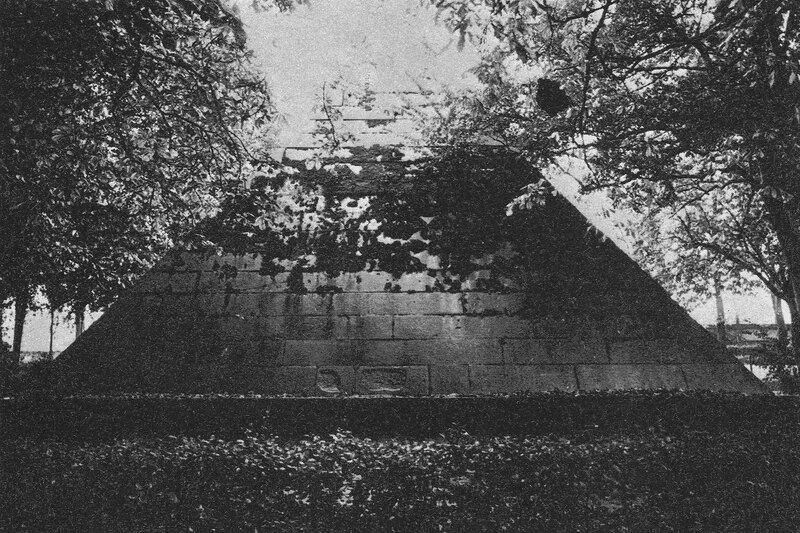 The pyramid that can be seen in the images is located inside the Cascine Park in Florence surrounded by the green and covered by it for a good part. It dates back to the Medici time and it was used as an “icebox”, to maintain as long as possible the snow that was piled inside it during the winter to be then used in the hot season. An archetypal building, a formal archetype, which is part of the natural environment and doesn’t openly denounces its function in connection with the city life. Its still osmotic, pure relationship with nature shows a level of understanding of the surrounding natural context which doesn’t belong any longer to the city of our times. However, if one looks carefully, it also denounces the beginning of what happened next, a fast process of progressive disconnection between building, city and natural environment.